We are down to our last post-it from Ms Zarikow’s class. We still have a couple left from my other two classes but this is the last we will here from Ms Zarikow’s class. 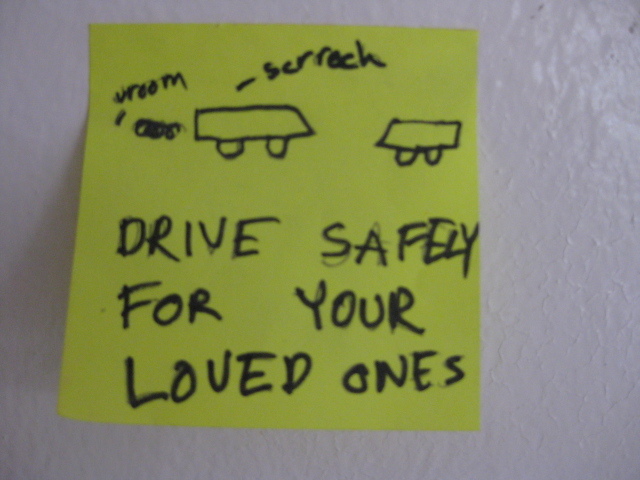 Drive safely for your loved ones.